Discussion in 'FIFA 17 Forum' started by FIFER_MODS, Mar 22, 2019. Gonna start making some faces for FIFA 17. Here's Coutinho with updated beard and tattoos. I'll show Rakitic next. Final Version of Coutinho. Added beard and neck tattoos. Final Version of Suarez. Added beard and neck tattoos. The problem with FIFA 17 (official Origin game) for me has been when I add a mod or two using frosty mod manager, the game refuses to launch through frosty manager. Have tried all the fixes to no avail. Great mods though. If you have any tips or can show how you get it all to work on your end, that would be very helpful. Are you using the cracked version of FIFA? Absolutely not! All my FIFA games are purchased. Did you read my original post? What version of Frosty Mod Manager are you using? I want to replicate your setup exactly. Well I'm not a part of that 99%. I will give that version of FMM a try and see how it goes. Can Mbappe and Vinicious faces be added to the game as well? Can all FIFA 19 Faces be converted to FIFA 17 like 16? 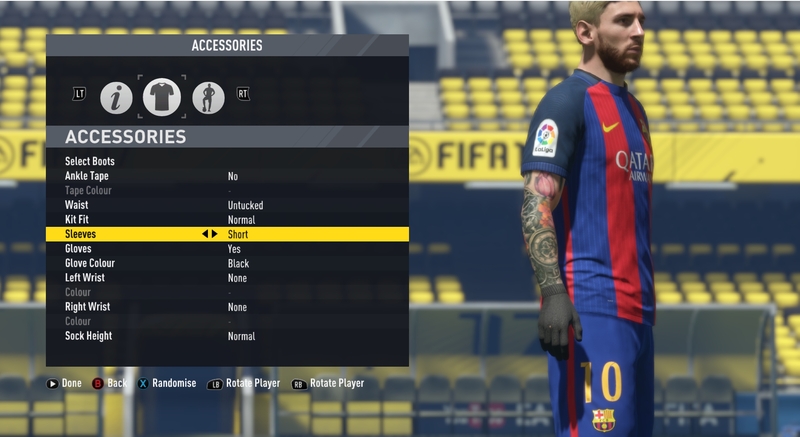 Question, are you able to load the IMs X-IV FIFA 17 (AIO) mod in FMM? It loads the mods, but the game doesn't run for me.